Interaction with licensees’ design teams and management teams to pitch new businesses and to conceive seasonal product plans. Interaction with agencies/ artists in creative assets creation. • Reporting directly to the Senior Design Manager and indirectly to the Product Director, you will be responsible for working within the Central Product team, to develop strategic product plans appropriate for the APAC region. 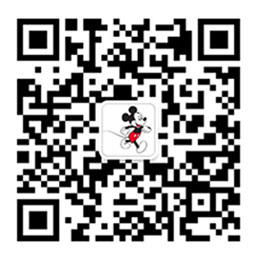 • Working closely with the DCPI Product Development teams of each countries within the APAC region, with observation of the market’s needs, latest trend analysis, as well as the Company’s (Disney) strategic plans, to drive product design directions. • Consolidate APAC creative resources and identify the appropriate regions to leverage such assets; and in the areas of opportunity, to create design plans and pitch kits for the appropriate market. • Ensure to uphold Disney’s standards in quality for designs. • Ensure all phases of design and sampling for respective product category from inception to final approval, including Disney IP usage, specification design development, quality, adherence and accountability to design standards and calendar deadlines. • Monitor market trends, research consumer markets and competitors’ activities to identify opportunities and key issues for each licensee account. • Working closely with Category Managers to identify the collaboration strategies pertaining to each licensee in pitching new businesses, maintaining, and growing each licensee business. • Responsible for creating pitch, workshop, and training presentation materials. • Ensure each licensee’s creative direction is original and does not overlap with other accounts of the same brand positioning. • Excellent understanding of product development. • Excellent verbal and written communication skills. • Excellent supervisory skill with sense of responsibility. • Positive attitude and excellent interpersonal skills. • Sophisticated organizational skills and ability to multi task. • Adaptable in a fast paced, high growth work multi-cultural environment.